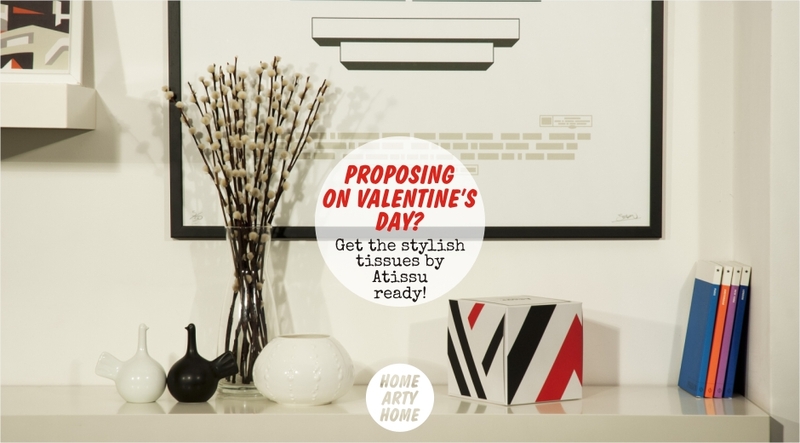 Proposing on Valentine’s Day? Get the stylish tissues by Atissu ready! Often neglected but always on display, the humble box of tissues is generally plastered in badly-designed brand logos. 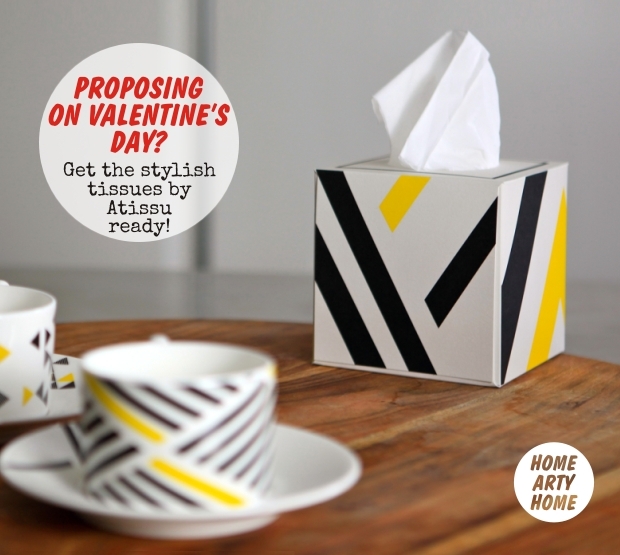 If you’re reading Home Arty Home, you probably spend time and care choosing gorgeous items for your home yet are stuck with the bland or ugly tissue box options from the supermarket. 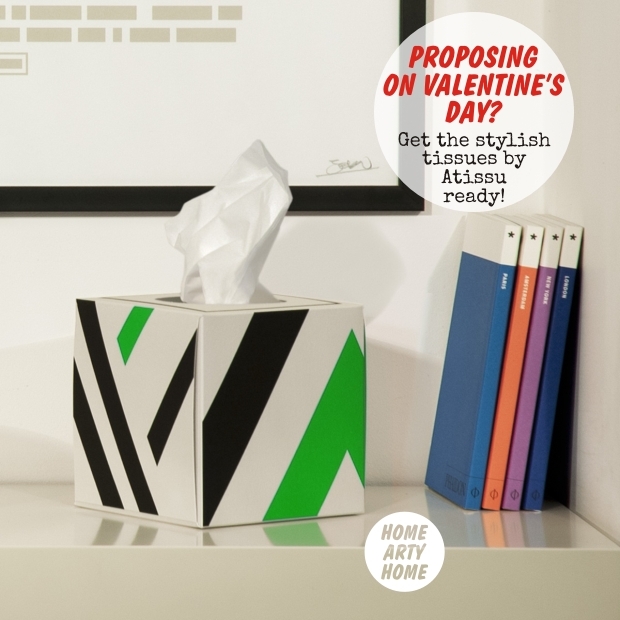 Thank goodness in that case for the new brand Atissu, who are looking to introduce contemporary style with their new range of illustrated and graphic tissue boxes. 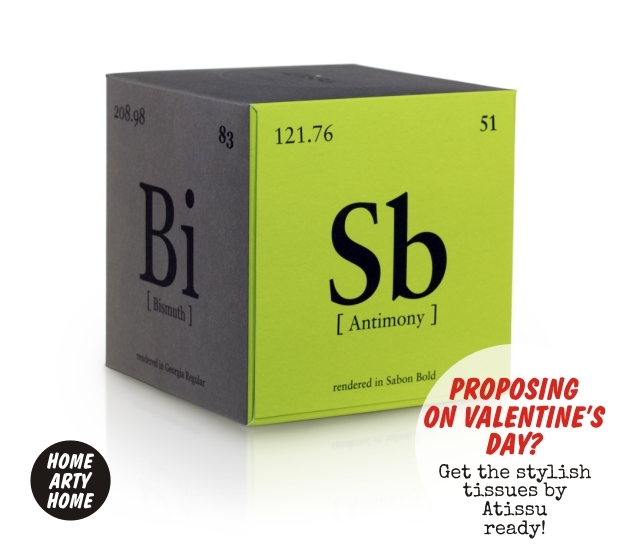 Made entirely in the UK, the boxes are printed in London using vegetable-based inks, all with responsibly sourced card and paper for the 3-ply tissues. 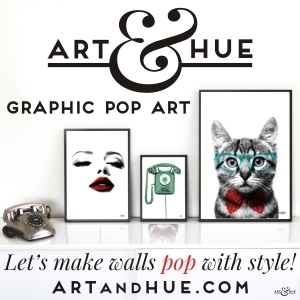 Home Arty Home loves the graphic chevron print in particular and looks forward to seeing Atissu’s future collaborations with artists, illustrators and graphic designers – I’d love to see some mid-century-inspired art such as the work by Eloise Renouf as well as graphic pop art by the likes of Art & Hue. 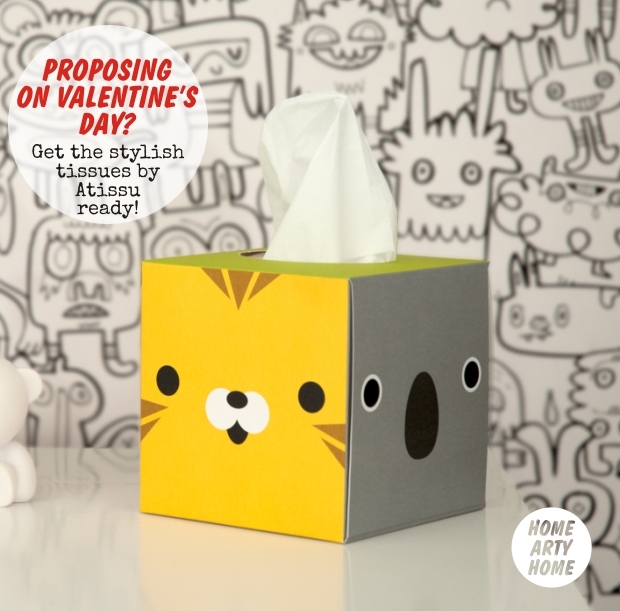 With Valentine’s Day fast approaching, if you’re planning on getting down on one knee for your significant other, make sure to have a stylish tissue box to hand as it might well seal the deal. Visit Atissu to see more. Bless you. P.S. Atissu have been in touch with a lovely offer for Home Arty Home readers! 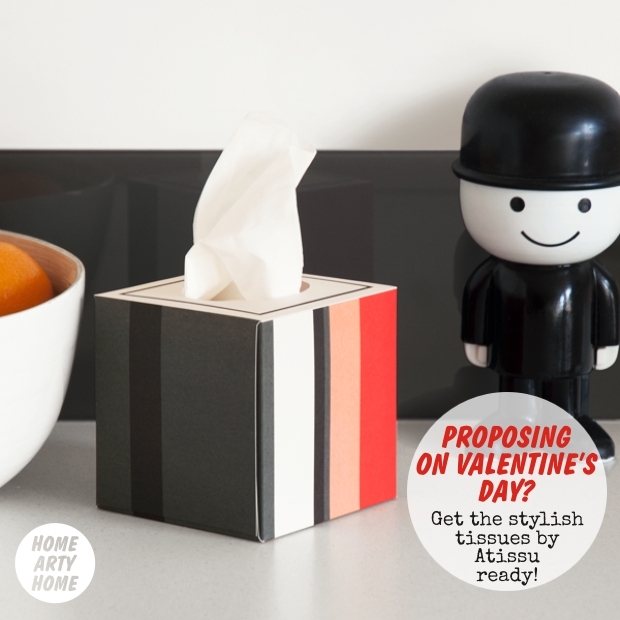 Enter ARTY (in uppercase capitals) at checkout for 20% off your first Atissu order, code valid up until Valentine’s Day, 14th February 2015.